When I talk about the death of the author (used in the broadest sense) generally I’m referring to a certain disconnect that happens between one’s personal life and one’s works. 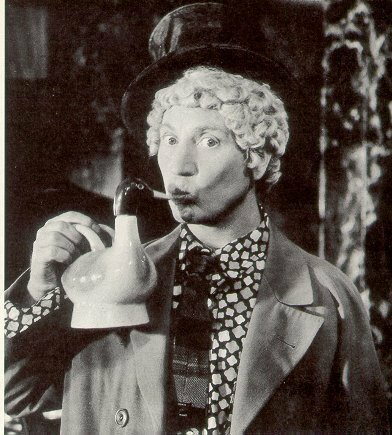 Dylan seemed so wise in the ways of the heart as his marriage went to pieces, Zeppo Marx was the seducer and the straight man, yet of the Marx Brothers only Harpo didn’t go through a divorce (and Chico went through three of them). This is the face of marital fidelity and stability, it has a bill. And also Thomas Kinkade, who had an entire career empire based on cloying paintings that were dramatic statements of a lack of drama or statements, died a true painter’s death of alcohol poisoning and Valium overdose. It makes his characteristic cabins-in-the-woods take on an air of desperation. Rather than a warm refuge, the cabin in the woods now looks like a tomb of isolation and prescription drug abuse. And now all across America, the walls of people who wanted nothing more than the world’s least offensive decorations are draped in the cries of a desperate man. The image of complacency has become the image of the consequences of our complacency. I guess we all should have seen it coming. The cries for help fell on deaf ears, ears plugged by a desire to escape conflict, into a Kinkade world, but there is no doubt he was crying for help. Look at how he dressed. An artist after all? A very wounded individual painting a Christmas tree, an ironic tension curiously absent from his body of work. So the life and art thing goes both ways. And Mr. Kinkade, here’s hoping you’ve found your cabin at the end of a long day in the snow. Tags: death, Death of the author, Goodbye Thomas Kinkade, kitsch, low art, vaudeville. Bookmark the permalink. I wrote the most complimentary obituary that I could for him (http://ferrebeekeeper.wordpress.com/2012/04/09/the-painter-of-light/). It will be an immense irony if his death from substance abuse causes the critical establishment to reevaluate his creepy paintings. Empty, glowing, so-cheerful-they-are-sinister cottages might become the ultimate statement about the great real estate bust (but I sincerely hope not).